Patna airport got two ‘guests’ landing in the gap of a couple of hours today. The first to land was the body of the CRPF inspector, Pintu Kumar Singh who attained martyrdom fighting against militants at Handwara in Kashmir. Pintu was one of over 65 Indian jawans killed in terror strikes and the continuing gun battle on the borders in the aftermath of the blast at Pulwama. The second to land was Prime Minister, Narendra Modi for NDA rally at the Gandhi Maidan at Patna. Hundreds of the BJP-NDA leaders, ministers, ticket seekers and vote-seekers accorded Modi, a hero welcome and escorted him through the streets strewn with flower petals and bedecked with garlands, colourful posters and attractive bill boards. 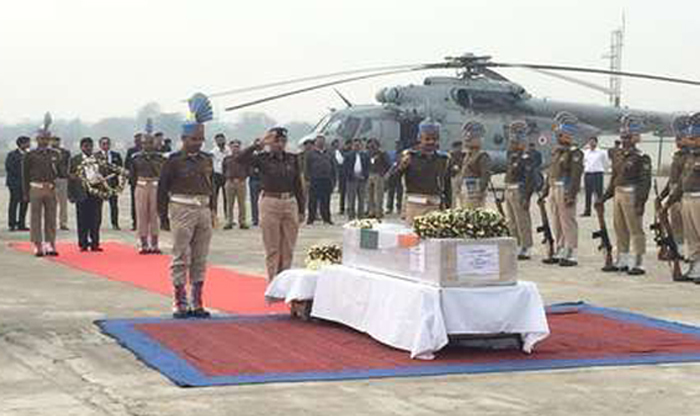 Of course, the Bihar Congress chief, Madan Mohan Jha accompanied the district magistrate and superintendent of police, Patna to pay customary tribute to the coffin carrying Pintu who had made supreme sacrifice at the borders. But the ruling BJP-JDU leader and ministers were missing. The martyr’s body was flown to his Dhyanchakki village in north Bihar’s Begusarai district where his sulking relatives, grieving villagers and friends cremated him at the nearby bank of the river Ganga. Some NDA leaders issued press statements to mourn Pintu’s death while others feebly mentioned him on the dais. Like the politicians, the mainstream media and TV channels largely ignored Pintu and showed Modi speaking on his ‘grand revenge’ against Pakistan through surgical strike and air strikes. The crowd cheered him too. Frankly admitting that the blast triggered by a suicide bomber at Pulwama that killed 40 CRPF jawans had shaken me, fuelling anguish in my mind. The patriotic sentiment overwhelmed me. But the brazen way in which the Prime Minister and his party men and allies displayed that doing politics and winning election was their only prerogative has disturbed me to my wits end. The motorcycle born Bajrang Dal, RSS, BJP and NDA cadres had been carrying out ‘victory processions’ on Patna streets to create atmosphere for the PM’s rally for the last two days. All the roads coming to Patna had been made one way to allow the people to enter Patna for the rally. The residents of Patna could not have left for other places for the exit roads had been blocked. Victory processions for what? 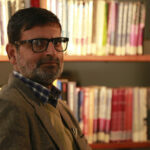 Have the alienated people of Kashmir stopped from indulging in militancy? Has Pakistan Army begun the process to dismantle the terror camps aiding, abetting and supporting militancy in Kashmir valley? Were the terrorist camps smashed and terrorists killed in the surgical strikes and then air strikes? Modi roared at the Gandhi maidan, “The opposition parties are asking for evidence of air strikes and surgical strikes. Their words and utterances are demoralising our security forces and triggering celebration and clapping in Pakistan. We are here to fight against terrorism”. Ridiculous! The opposition is there to raise questions and the Prime Minister is supposed to reply them. In the democratic set up, the media channels too have been invented to serve as watchdogs, raising questions at the powers that be. Sadly, most of the channels are admittedly mongering war and creating war hysteria instead of carrying out investigation into the security lapses that led to the blast at Pulwama and the reasons which have scaled up militancy and unrest manifold in Kashmir during the Narendra Modi led rule. I don’t say that the militancy in Kashmir has happened only due to Modi’s misrule. But it is a fact that the militants have carried out more raids and have slain more jawans during Modi’s rule. And his so called surgical strikes and air strikes have not yielded any visible improvement in the situation at the ground level. Some election analysts and poll pundits say that Modi’s ‘actions’ against terrorists and Pakistan have whipped up nationalistic sentiment across India which will help the BJP and its allies at the upcoming elections. Others say that the issues of unemployment, farm crisis, economic disorder triggered by demonetisation and GST and loss of jobs due to closure of several establishments have been drowned in surgical strikes and air strikes across the borders giving upper hand to the BJP led NDA in elections. Let me candidly admit that I neither claim to be a big poll analyst nor an adroit pundit on elections. It is for the people to decide if Modi should stay or get replaced by others in office. But I don’t see anything tangible that the BJP has achieved in containing the crisis in Kashmir and halting terrorism. In fact, the problems have increased—be it on the borders or in the countryside across India. Stung by communal disturbances, farm crisis, unemployment, poverty, atmosphere of hate, loot of millions of rupees from the banks and fiddling with constitutional institutions, people might be looking for an alternative. Still we don’t know if they will get the desired alternative. Coming back to martyr, Pitnu Kumar Singh: Pintu was among five brothers. Having graduated from L.S. College, Muzaffarpur, he had joined the RCPF as inspector in 2009. He was married to Anju Singh in 2011. He has left behind his distraught wife, Anju and a four year old daughter besides other brothers and family members. He had come to his village during last Chhat festival and had promised his family and friends to come again during Holi. He had called his brothers and wife on the fateful day informing them that he was locked in the vicious encounter with the militants. He had promised that he would call them again once he was free from the encounter but he didn’t call as he met his martyrdom the same day. He had initially joined the CRPF camp at Motihari but was later transferred to Kashmir. I pay my glowing tribute to Pintu and pray the Almighty to rest him in peace. A senior journalist, is Assistant Professor, Lovely Professional University, Jalandhar (Punjab), and also Patron of eNewsroom.